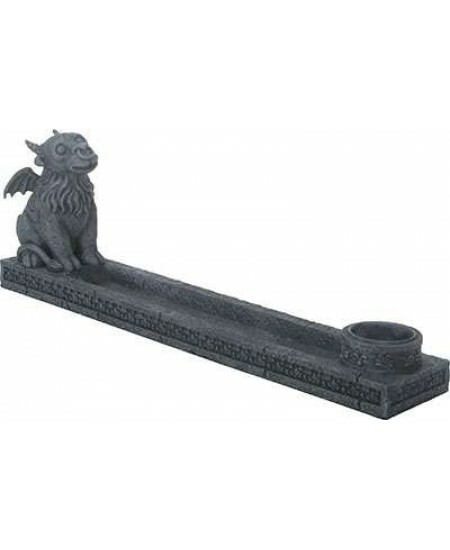 A Baby Goat Gargoyle watches the smoke rise from your incense sticks or cones. 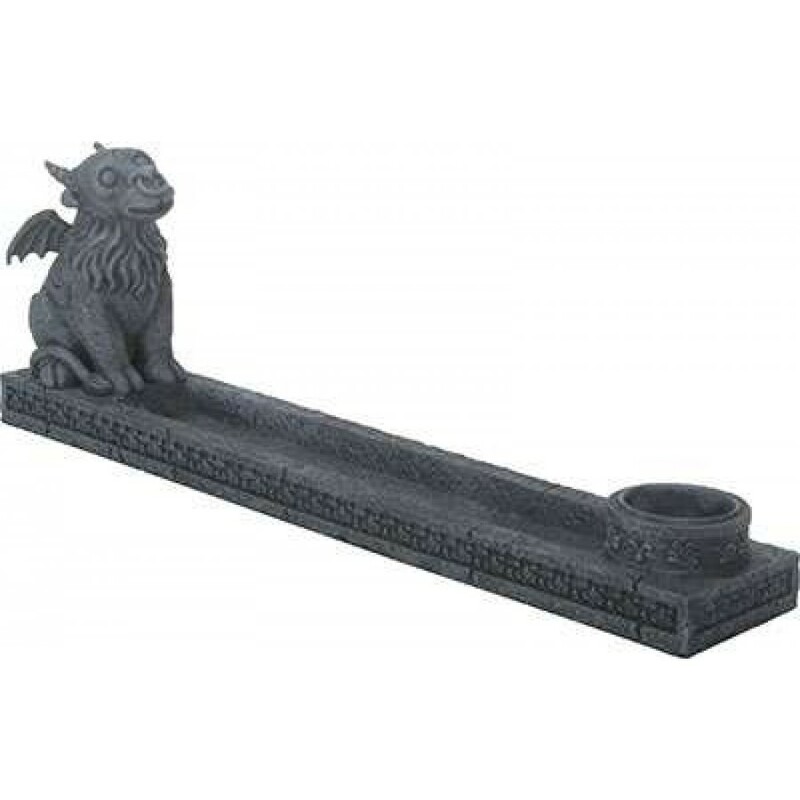 Adorable stone finish cold cast resin Gargoyle figurine is 3 1/2 inches tall with great detail. 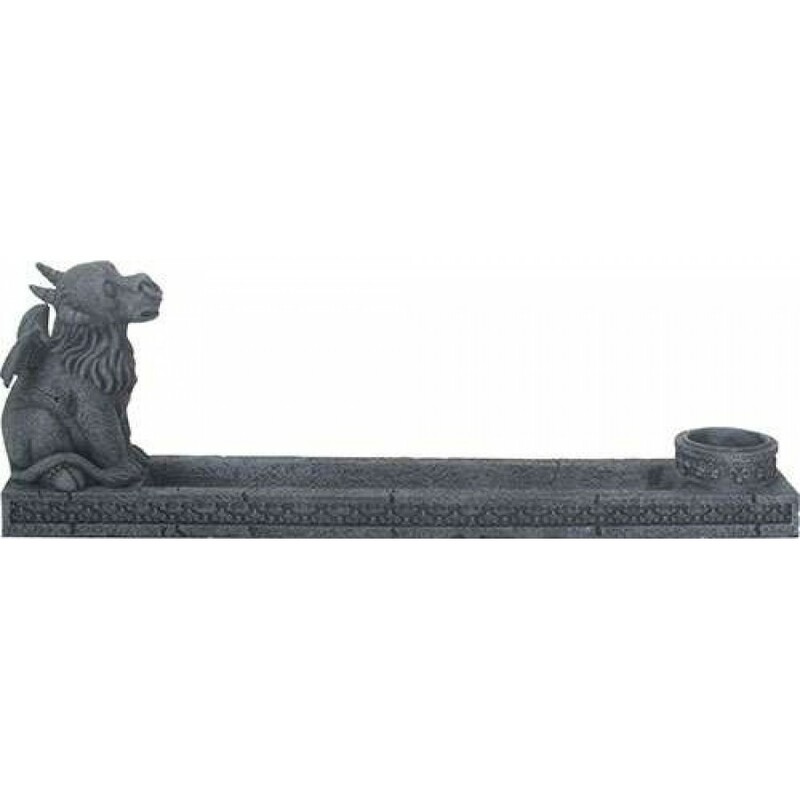 The trough style incense burner holds sticks or cones. It is 10 1/4 inches long and 1 3/4 inches wide. Item Number: YT-8762 | Approximate Size (Inches): 10.25 wide x 1.75 deep x 3.50 high | Approximate Shipping Weight: 1.50 lbs.